Following Game 2 of the Warriors vs. 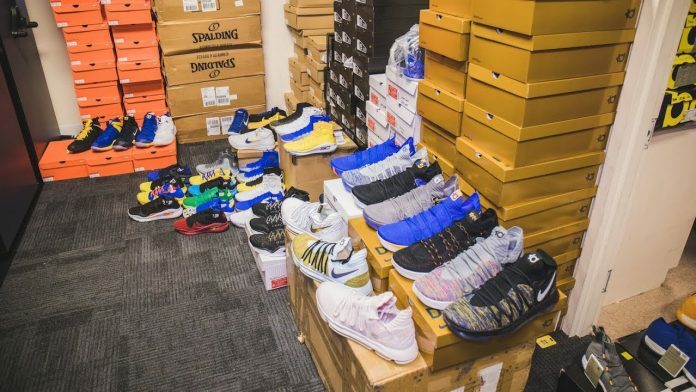 Rockets 2018 Western Conference Finals, Coiski Media took a look inside of the reigning champion Golden State Warriors’ sneaker-filled, state-of-the-art practice facility. Equipment Manager Eric Housen takes George Kiel through the current sneaker lineups of Kevin Durant, Steph Curry, Draymond Green, Klay Thompson and Nick Young all while showing off the Warriors’ digs as a whole in downtown Bay Area. Next articleA Tribe Called Quest’s Ali Shaheed Muhammed and Adrian Younge and CeeLo Green Form The Midnight Hour.